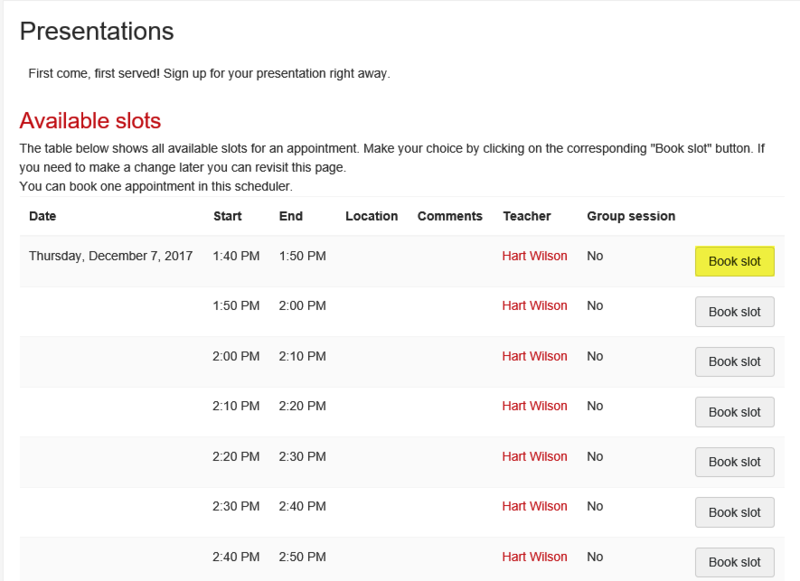 A Scheduler activity allows you to establish time slots for your students to meet with you—office hours, oral exams, even class presentations can be scheduled using this tool. 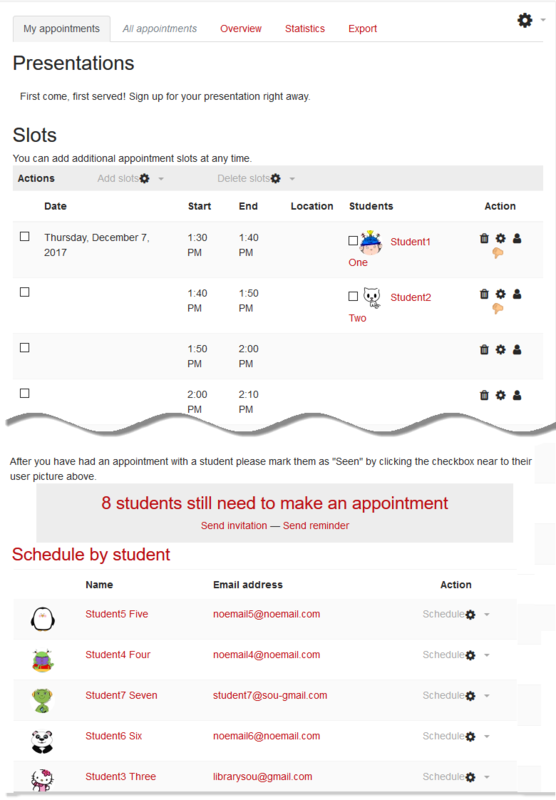 You can set up graded slots and assign points to an appointment. A feedback box is provided for the student as well as a confidential note-taking area for the instructor. Reminders can be auto-scheduled to be sent to students prior to the appointment. 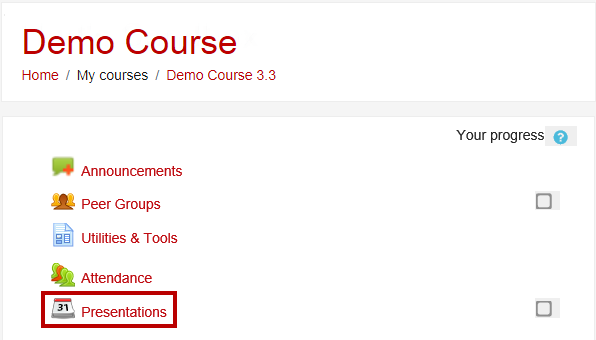 The Scheduler activity below is designed for students to sign up for class presentations. 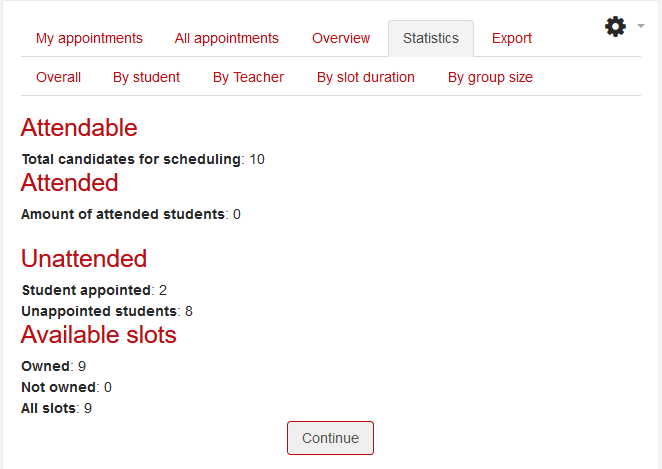 Once students begin booking slots, you can review their choices and see which students have not yet booked a slot. Note that you can email students who have not yet signed up (nagging made easy!). 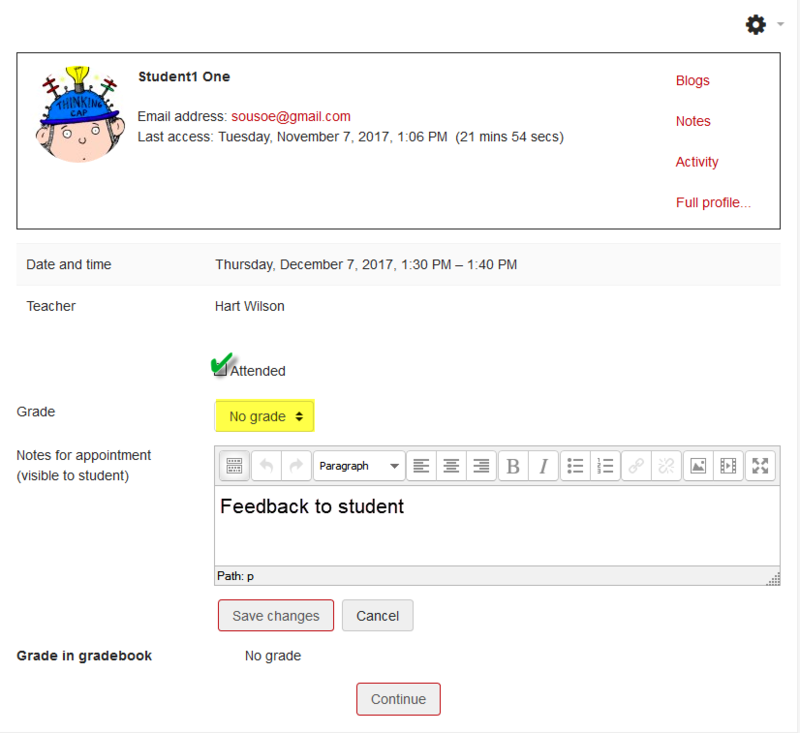 Opening the appointment slot allows you to enter a grade (if you've set the session up to be graded) and provide feedback to the student. You can also include a confidential feedback box for your own notes. Contact the Center for Instructional Support for assistance with this feature.